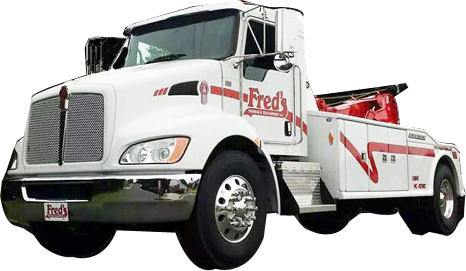 No matter what type of vehicle you have, whether it is a tractor trailer, school bus, straight trucks, fire, emergency vehicles, motor homes, dump trucks, mobile cranes, and even construction equipment, Fred’s Towing and Transport can get you where you need to go. With a variety of wreckers from a 16 ton to a 50 ton rotator there is isn’t anything that we can’t handle. 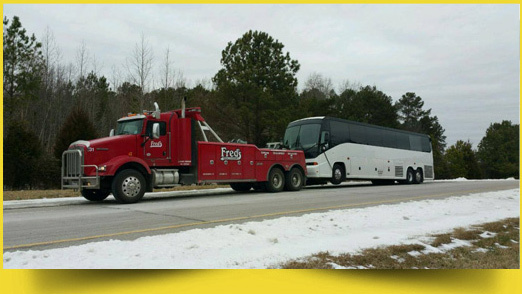 All of our drivers are professionally trained, certified and exhibit the utmost in professionalism. We are a locally owned and operated business with over 25 years of experienced service to the Industry. Contact us today for all of your Heavy Duty Towing needs!